Specific Project Outcome: Advocate for an equitable national policy that promotes and facilitates exclusive breastfeeding in the workplace in Barbados. A communication plan using mass and social media to advocate for, promote, and facilitate breastfeeding, especially in the workplace, was rolled out. A series of social media visuals promoting the BCNF project theme ‘Feeding Our Future’ were created and disseminated through the BCNF Facebook page. Public service announcements (PSAs) were created and run on Capital Media HD 99.3 promoting information on breastfeeding and the link to childhood obesity as well as celebrating World Breastfeeding Week 2018. A draft Breastfeeding Policy Brief is being developed in collaboration with the HCC Secretariat. The aim of the Policy Brief is to provide local and regional guidance to other NGOs and governments on the recommendations for best practice in breastfeeding policy. To demonstrate the recommendations in the draft Policy Brief and contribute to the development and implementation of a national breastfeeding workplace policy a Draft BCNF Breastfeeding Workplace Policy was prepared and disseminated to key stakeholders for feedback. 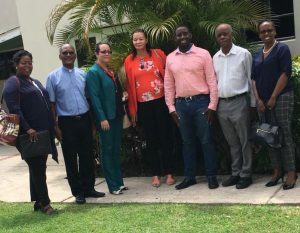 The BCNF had productive meetings with the labour unions that represent a wide cross-section of the Barbadian workforce. The unions expressed support for the BCNF and the Draft Breastfeeding Workplace policy. 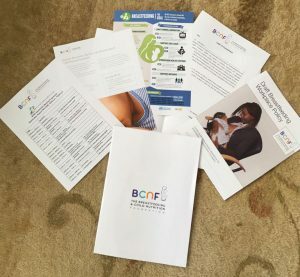 BCNF materials which shared information on the BCNF, breastfeeding rates and the link to childhood obesity, BCNF letter of commitment and the Draft BCNF Breastfeeding Workplace Policy were given to each attendee at the BCNF stakeholder meeting. A key recipient of a copy of the Draft BCNF Breastfeeding Workplace Policy was the Minister of Labour and Social Partnership Relations who publicly expressed support for the need for a workplace policy at the BCNF Joint Stakeholder Meeting. The BCNF joint Stakeholder Meeting was recognised by the World Alliance for Breastfeeding Action (WABA) as a successful celebration of World Breastfeeding Week and received a certificate of participation. Collaborated with other CSO’s to raise awareness around link between breastfeeding and childhood obesity and initiate the establishment of a Childhood Obesity Prevention Coalition. Membership continues to be enhanced and increased interest in the charity continues to be expressed. Specific project activities have also given the BCNF an opportunity for the BCNF to appeal to men to become members of the charity, given that they are an integral part of the breastfeeding support system. 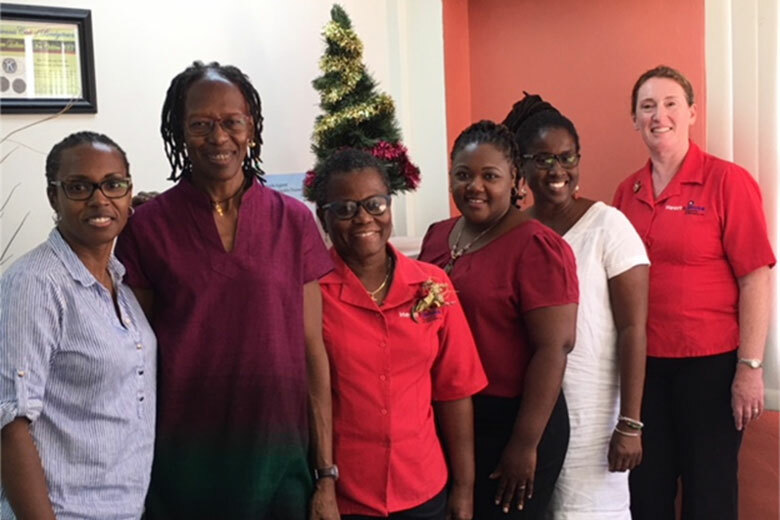 As result of the platform provided by this project Dr. Alison Bernard, BCNF President, is now part of the National Workplace Wellness Delegation which is building on a National Workplace Wellness Policy developed by Dr. Dwayne Devonish and Gabby Scott of the Barbados Workers Union (BWU). The BCNF draft breastfeeding workplace policy will be included in the National Workplace Wellness Policy. 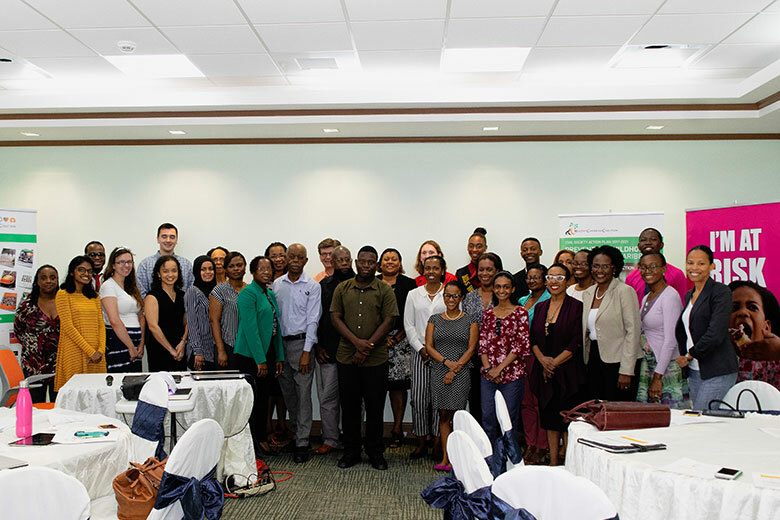 The Breastfeeding and Child Nutrition Foundation of Barbados hosted a joint stakeholder meeting on Wed, Aug 15 at the Savannah Beach Hotel in Barbados from 8:00 am – 12:00 pm. 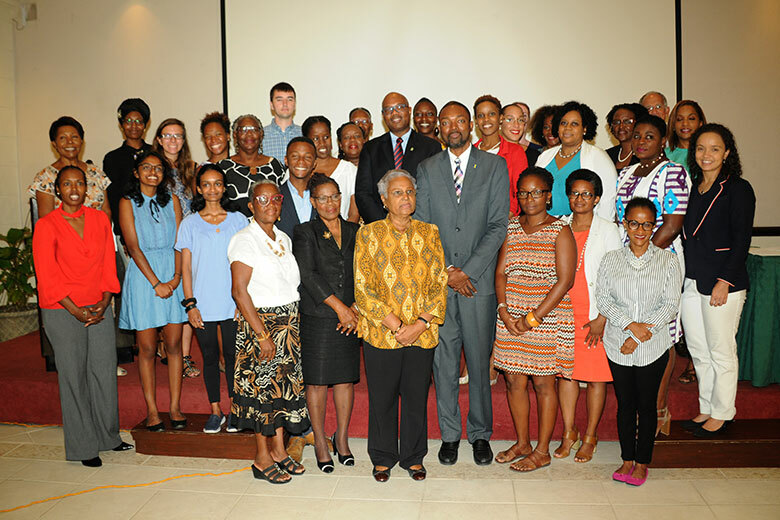 This meeting was one of the significant achievements made possible through the project funding from Caribbean Development Bank (CDB) through the Healthy Caribbean Coalition (HCC).